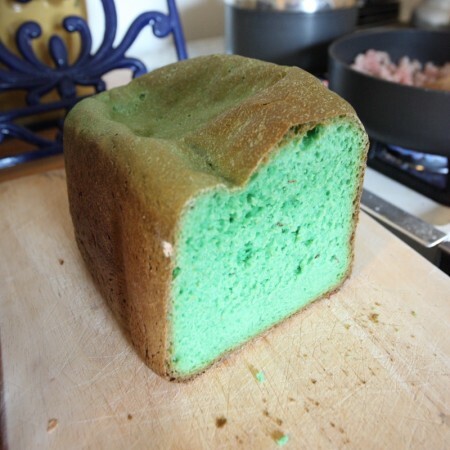 On St. Patrick’s Day, the Von Worley clan traditionally dines on reuben sandwiches and boiled potatoes, and this year, word came down from on high that all of it should be green through-and-through. Oh, for the love of Blarney! Emerald as the shamrocks of Ireland, God bless it! How will the kids react? It’s green, which is obviously righteous and worthy of effervescent squeals. On the other hand, it’s green and neither fruit, vegetable, or candy. Disgusting? We’ll find out tomorrow night!